Katie is a Reiki master healer, as well as a psychic medium. She is passionate about animal communication. 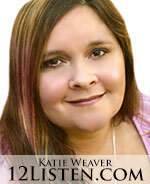 Katie has a degree in Early Childhood Education, and specializes in working with psychic children and their parents. She has been trained by the state of Idaho to be a one on one mentor. Katie has been teaching classes on many kinds of divination, space clearing, animal communication, energy healing, and manifesting for years. As a Cancer, she is very nurturing and loving to her clients and students. She a has a wonderful way of connecting lovingly to all she comes in contact with. Our Advisors provide e-mail services for added convenience. Look below to see what services are being offered by this particular advisor. To order any of the services simply click on the title to be taken to the registration page. This is a great way to ask me to look into any situation. I will provide you with all of the messages and insight that I see surrounding your question. Please send me your question, and I will provide you a 150-200 word response. If you are need of a quick tune up or have an energetic issue that you would like me to look into, please let me know where you would like me to focus and I will happily do so, and send you a message with my findings and what I did. Many years ago, the state of Idaho invested in me as a mentor. A mentor for child care centers, to be specific. I attended a year of classes, conference calls and workshops to become a master mentor. I learned so much about helping people accomplish their goals. I apply that education to my clients here at 12Listen to achieve their dreams. I work with people to improve finances, find better jobs, gain education, relocate, open new businesses, learn new skills, write books, overcome unwanted habits and so much more. Upon purchase of this reading, I will send you over a form to fill out to get clear about your objectives. Together, we will schedule a time to meet for a video conference to set goals, map out a plan and get you going! At that time, we can discuss future meetings, as mentoring is not a one and done process. We should plan on meeting at least once a month for continued mentoring. One of the great things about hiring a mentor is having someone to keep your feet in the fire, to gently spin you around and place your back on your path when you veer off target. I can do that for you! This is a great way to ask me to look into any situation. I will provide you with all of the messages and insight that I see surrounding your question. Please send me your question, and I will create a video reading for you. If you are need of a quick tune up or have an energetic issue that you would like me to look into, please let me know where you would like me to focus and I will happily do so, on video, as I do the work and explain to you what I am seeing. I will send you a private link in order to view your video. For your protection, no one will be able to view your video unless you provide them with the link. Remember, this is a personalized video reading created specifically for you! I am really enjoying the video format, as it gives me a chance to connect more personally with YOU! "This is an incredible reading, I definitely recommend! Katie is to the point, compassionate with a fun loving humor! The video makes it feel like she's right there with you!" "Loved the video reading format very much. The information and guidance that I received was spot on, direct and loving. 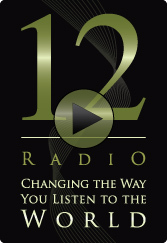 I'm a big fan of 12Radio resources. Thanks!" This past life reading may be different than any past life work you have done before. In this reading, I will ask your guidance to take us to lives where you were a powerhouse, a force to be reckoned with, a true spiritual warrior. We will explore the traits that you had in those lives that you are also wielding in this life, and if needed, draw those traits forward to strengthen your current version of YOU! 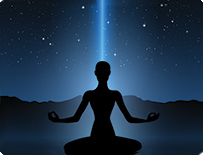 Many years ago, in meditation, my spirit guide told me that I was supposed to learn how to do past life regression. I was really surprised because I had never even had one before. I think I loosely believed in past lives but didn't really have much of a basis for that. I ignored the request the first time, but it just kept coming. All different kinds of signs and messages all about past lives flowed in. Finally, I decided to take the plunge. I read, and I read, and I read some more. I had a few past life regressions; I performed a few on myself; finally after many months of preparing I decided I was ready to give it a go. I meditated long and hard about what it would take, what I needed to do for my clients and how it should look. After writing my script, getting the right essential oils put together, creating a way to build a crystal grid on top of my clients and taking a deep breath I was ready. I enlisted several friends who were willing to let me practice on them. Much to my amazement and fascination the first five regressions that I did were very successful. I learned so much. One of the coolest part is that with my own psychic gifts I was along for the journey. I was seeing much of what they were saying, and experiencing much of what they were experiencing. When I was finally comfortable enough I started to market past life regression. That was more than six years ago, and I've never slowed down since. I believe that past life regression or knowledge of past lives can help us overcome all kinds of obstacles in our lives. I also believe that the knowledge of our past life depends our connection to our soul to who we really are. I frequently tell my clients before regression," Your life will be forever changed." And it is for the better. It is a fascinating process. Over the years of experiencing so many regressions I have learned that I can channel a regression without taking the client on the journey. Now, some people want to go on the journey. They want to have the experience for themselves and they want to be there. That's great. However, I have also learned that not everyone is interested in going on the journey. They need the information, and they want to know what's in their past lives that is relevant to them now but they may not be ready to take that journey themselves. In this video reading I will take that journey for you. I will visit a past life experience and tell you all about it. You can either leave it up to spirit and I'll answer whatever life I'm sent to, or you may present me with an issue or that needs healing, or a curiosity for a certain era or region of the earth. I'm very excited to offer this service now, as I am hearing from my spirit guides that many of you have a need to draw something up from a past life at this time. 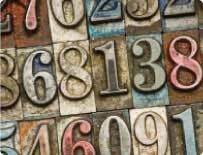 Do you feel like you and other members of your family repeat similar patterns in life? Do you feel like there could be some old Karma or energetic blocks that go back many generations? Have members of your family struggled with the same health issues for generations? If you answered yes to these questions, we need to talk! I can go back to the original source of this dysfunctional energy, known in Epigenetics as scars on the DNA, and heal the DNA, creating a wave to powerful energy, that will move to, and through, you. I have created this wave of clearing for my clients surrounding relationships, poverty, abuse, health and addictions. I have found it be very effective in creating a much higher vibration for creating your best life. Upon purchase, I will create a video of me doing your work, and send you the link to watch it. Please include the issue that you want me to work on and any other info that you feel will be helpful.